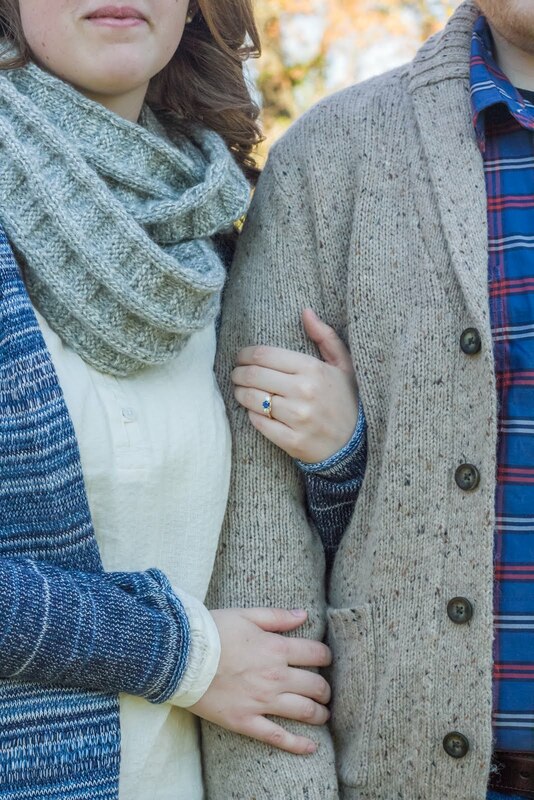 My fiance and I are big Harry Potter fans. So I thought our Christmas tree this year should have something that reflects that! :) This ornament is easy to make and would be a great weekend project! - Using two strands of embroidery floss, cross stitch pattern onto fabric. 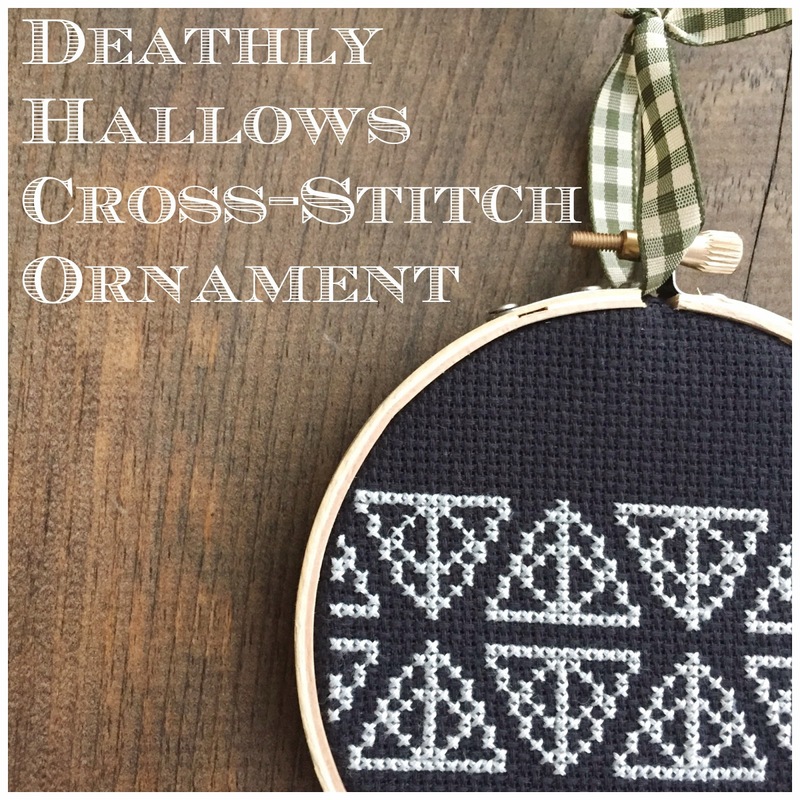 Using the pattern below, fit as many Deathly Hallows as you can across the width of the hoop. 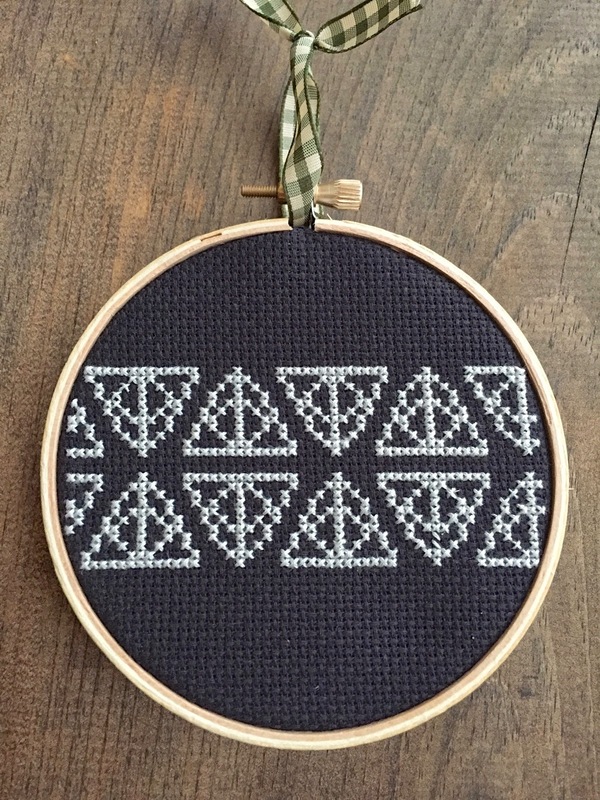 For the second row of Hallows, I just flipped the pattern upside down. If you are brand new to cross stitch, you can find tutorials here and here. - To back your work, cut a piece of felt the same size as your hoop. Fold your excess Aida fabric to fit under the piece of felt. With hot glue gun, secure the piece of felt to the back of your work. - Finish the ornament by attaching a piece of ribbon to the top of your hoop for hanging. I hope you enjoy your new ornament! Stay tuned for more crafts from my 12 Crafts of Christmas series! Thank you for sharing this! I can imagine it embroidered, or knitted, around the waist of a sweater... I love subtile HP fan art. Thanks! I hadn't thought about using this with a sweater, but that would be a great idea! I love the pattern- beautiful! Ooo that's cool. 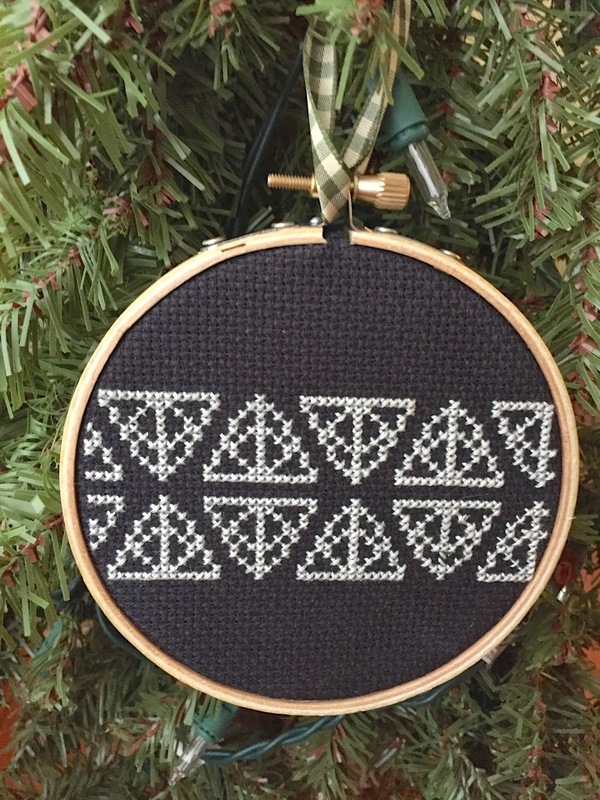 It's almost like a HP secret on your tree, only a fan will know it's not just a pretty pattern.